VCA, the retail analytics specialist, has introduced a Public View Monitor designed to help retailers achieve so much more than just deter would-be thieves. VCA has packed its Intelligent Public View Monitor (IPVM) with a long list of impressive features offering “tangible benefits” to retail marketing executives as well as loss prevention managers. The IPVM takes advantage of HD camera technology, supported by facial detection software, to record the faces of everyone entering a store. The face images captured by the built-in Full-HD camera, which is discretely located within the IPVM’s housing, can be used to verify where individuals have been within the store. VCA refers to the IPVM as being ‘intelligent’ because the camera incorporates analytics technology. With people counting and tracking capabilities, the analytics can be used to produce heat maps as well as data on how long each customer dwells in specific areas of a store or how long they have queued when used in conjunction with Ucountit cloud-based software. It therefore provides a very powerful multi-purpose business intelligence tool offering a high potential RoI when installed in individual shopping aisles as well as at store entrances. As stated, the IPVM is supported by uCountit, VCA’s cloud-based analytics reporting solution that can be accessed via a web browser such as Internet Explorer, Google Chrome or Firefox. As a cloud-based solution, it offers end users the convenience of access to the Dashboard from any location on the network. This presents the analysed metadata in the form of simple charts, heat maps and reports, allowing regional retail managers to monitor activity at individual stores and make comparisons with other stores while on the move. The IPVM is also equipped with a built-in SD card slot for displaying welcome messages and advertisements in support of in-house promotions. The internal SD is able to hold the messages such that each monitor can have different and specific message depending on the location in the store. Using the built-in camera and analytics, areas of particular interest can be set up as zones or tripwires and, when events occur, the images may be recorded and or sent to a mobile for instant review. In addition, when an event does take place the monitor can instantly switch into live mode in order to show real-time activity. Hikvision is expanding its Easy IP Solution family of cameras and NVRs in a continued quest to make CCTV surveillance “easier, quicker and smarter”. The Easy IP range now includes more advanced features, such as 4 Megapixel ultra-high resolution, 120 dB WDR and H.264+ optimised Smart codec, etc, all of which willo assist SMBs. The new Easy IP Solution makes installation easy and secure for all end users. The PoE-equipped NVRs mean that the need for a separate power supply to each camera is eliminated, while the inclusion of the 4 Megapixel panoramic fisheye camera allows the entire coverage of a store or office rather than having to deploy several fixed cameras. The recessed-mount dome cameras also enable installers to simply use existing downlight installations. Cameras with motorised lenses and PTZ functionality eliminate the need for post-installation camera and lens direction positioning. As well as PoE meaning that just a single Ethernet cable is required for each camera, the Easy IP Solution includes a complete range of Wi-Fi cameras and NVRs featuring auto-detection, auto-connection and easy access. 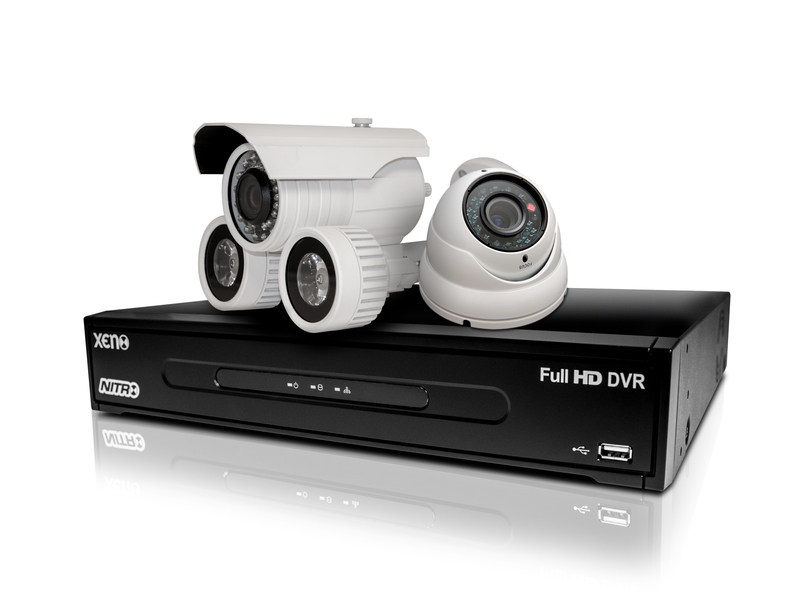 At the same time, the PoE NVRs automatically allocate an IP address to each camera when connected, in turn completely removing any potential delays with configuring IP address forwarding and saving time in larger installations. 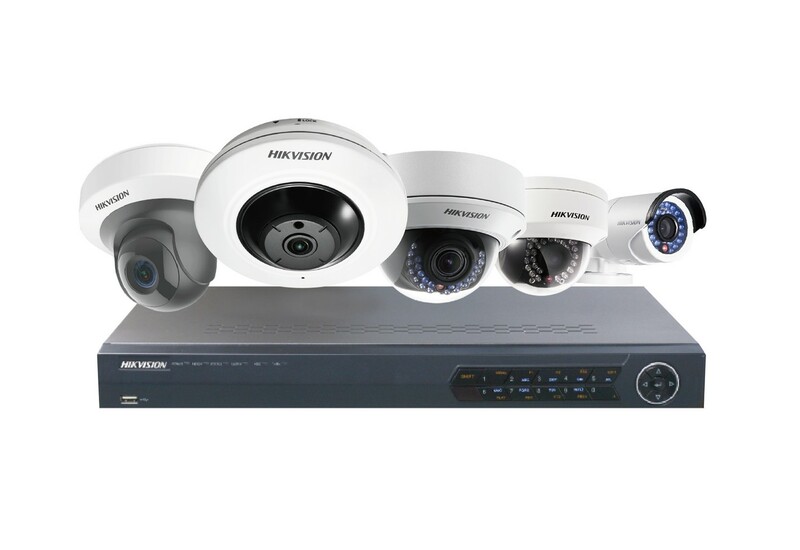 Featuring on-board storage on many of the cameras, Hikvision’s Easy IP Solution also offers high compression efficiency codecs to reduce the burden placed on the transmission and storage elements of the system. This is particularly significant for HD IP systems where bandwidth and storage costs can be a major concern. A standard H.264 camera with Full HD 1080p resolution and one month of recording can result in about 1.2 Tb of space being consumed. The Hikvision H.264+ optimised Smart codec technology helps to reduce storage consumption by up to two-thirds, with Full HD 1080p resolution for one month consuming just 462 Gb. All Hikvision Easy IP Solution cameras support the EZVIZ Cloud – P2P service, which enables remote access from your smart phone. This means you can view the live video and recorded video files from your house, store, office or enterprise anytime and anywhere. EZVIZ also includes intelligent alarm support so that any intrusion or emergency events can be precisely recognised and resolved. 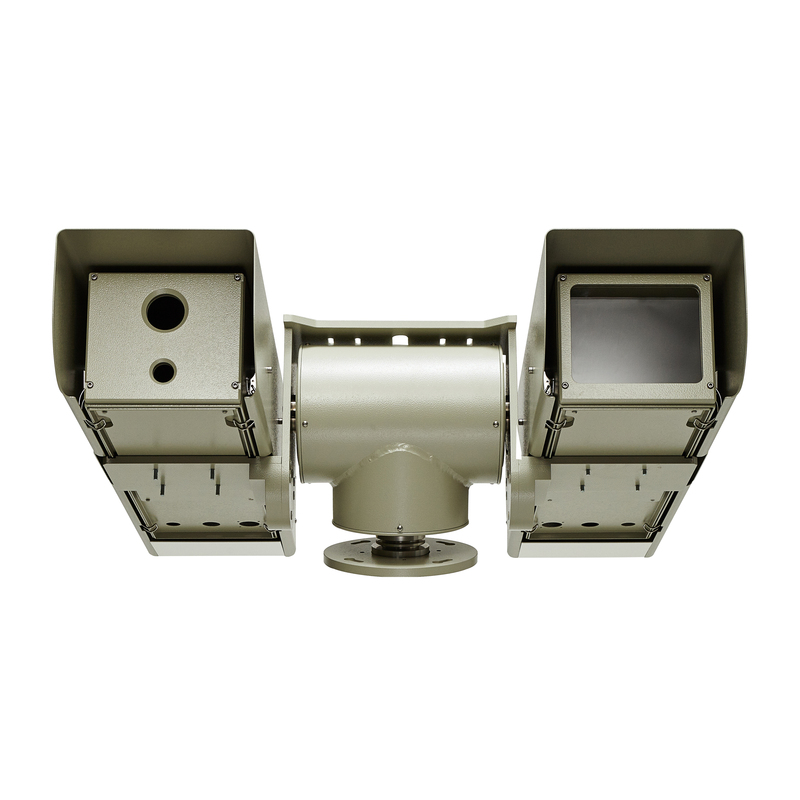 The Easy IP Solution’s range of indoor and outdoor cameras is designed to meet a wide variety of needs and includes bullet, dome, panoramic, cube and PTZ styles. For instance, the 1 Megapixel and 2 Megapixel mini cameras with their on-board storage capability will be well suited to smaller business installations, while the 4 Megapixel ultra-HD units with H.264+ Smart codecs ensure high quality 1080p resolution images during the day and night. Evve Surveillance has released the LR325K, an ultra long-range Full HD 1080P surveillance camera designed for use in environments requiring exceptional image clarity over long distances. Typical applications will involve ports, borders, Critical National Infrastructure and Safe City projects as well as military bases. The LR325K can detect the presence of objects at 35 km, recognise them in terms of category at 15 km and Identify them at 5 km using The Johnson Criteria. The Johnson Criteria were developed by the US Military for evidential surveillance and are now used as a performance benchmark for civilian and military optical surveillance capability. Created in-house by the company’s own R&D team, the LR325K delivers “outstanding” HD-SDI colour image clarity based on a 120x optical zoom lens. In-camera processing exploits corrective modes to optimise performance in adverse conditions such as fog and mist. A premium IR cut filter specially developed for the product optimises night-time and low-light performance. The camera’s optional laser IR illuminator extends capability even further, allowing full 24-hour operation in all lighting conditions. Use of the camera can therefore be offered in covert or semi-covert formats for military applications in battlefield terrain containing potentially hostile parties. If deployment must be completely covert for fear of reprisal, Evve Surveillance offers EMCCD and SWIR versions. Evve Surveillance has augmented the optical capabilities of the camera by developing a dedicated pan/tilt head with anti-backlash gearing, variable speed and high resolution pre-set recall for absolute positioning to +/-0.015 degrees (an “exceptional level of accuracy” not found in commercial off-the-shelf pan and tilt units). This assists operators at border perimeters where the camera must regularly observe checkpoints or known points of vulnerability that might be 40 km distant. An error of one or two degrees can mean missing such a target so accurate pre-set recall is a vital feature. Every aspect of the LR325K has been developed to maximise end user benefits. The design is modular in three main elements meaning the weight of individual modules (at under 20 kg) is manageable for rapid deployment in the field and for air transport in a variety of civilian and military craft. The interconnected design also makes in-field support far easier than that which would be possible with other systems. The LR325K is produced in HD-SDI, analogue and IP versions. It’s available to order now and can be custom-painted to suit any environment or application. The range will soon be extended to offer short wavelength IR (SWIR) and electron-multiplying (EMCCD) sensor versions.